Julie Nixon Eisenhower has donated the maximum amount to Obama's campaign. 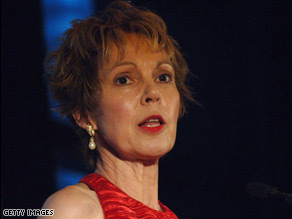 (CNN)— Julie Nixon Eisenhower, a daughter of former Republican president Richard Nixon, is supporting Democrat Barack Obama’s presidential bid. Eisenhower has donated $2,300 to the Illinois senator’s campaign, the maximum primary season donation allowed under federal campaign finance regulations. The former first daughter isn’t the only member of the Eisenhower family supporting Obama’s White House run. In February, her sister-in-law Susan Eisenhower endorsed the Illinois senator in a Washington Post op-ed. Julie Nixon Eisenhower’s sister, Patricia Nixon Cox, is a strong supporter of presumptive Republican nominee John McCain; her husband, Ed Cox, served as state chairman for the presumptive Republican nominee’s New York’s primary campaign. They have donated the maximum amount allowed under Federal Election Commission regulations and hosted fundraisers for the Arizona senator’s White House run. I'm with everyone else... SO? Is this a good thing?